Our firm is often viewed as the second CPA firm in providing advisory services that external audit firms cannot perform due to independence concerns. We are big enough to deliver and small enough to care. Kral Ussery LLC is registered with the National Association of State Boards of Accountancy (NASBA) as a sponsor of continuing professional education on the National Registry of CPE Sponsors. State boards of accountancy have final authority on the acceptance of individual courses for CPE credit. 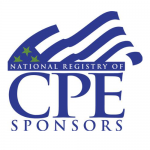 Complaints regarding registered sponsors may be submitted to the National Registry of CPE Sponsors through its website: http://www.nasbaregistry.org/. We also invite you to learn more about our Partners and Practice Leaders. Kral Ussery LLC is strongly committed to your right to privacy. Use of this site constitutes acceptance of our Privacy and Disclaimer. Please read these two policies regarding use of this Web Site.